By chance, our early discussions about the possibilities and issues involved in constructing a public archive coincided with a symposium organised by Interface called ‘Investigating Archives’ as part of ‘I Confess That I Was There’. We were present as a diverse range of approaches to interpreting, managing and subverting archives were explored. Later we were invited to contribute footnotes to a review of ‘I Confess…’ and this invitation has prompted us to draw upon things that were said in consideration of our own forthcoming research project. We would like to acknowledge this request, this ‘external provocation’ (2) as an opportunity to explore and experience a small part of the Interface archive and to intensify our engagement with the ideas and problems of archiving. 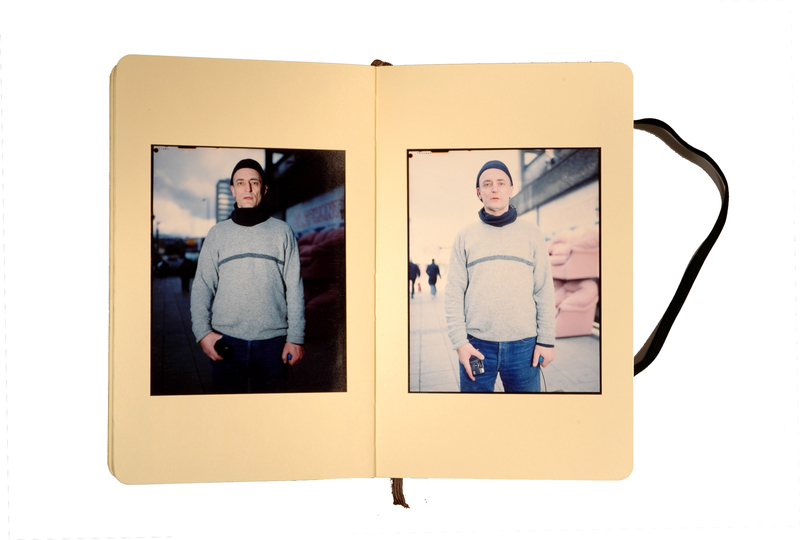 Our research, to be conducted over the course of a year, will be based on questions arising from an ‘active archive’ (3) Photographs and Assisted Self-Portraits, a 6year working engagement between an artist (Anthony Luvera) and homeless and ex-homeless people living in London. In the process of this working engagement, thousands of photographs have been produced by hundreds of people. Photographs continue to be produced and archived. The question of whether, and if so how to present this archive in a public form, with its inherent ethical, aesthetic, technical and political implications will form the basis of our research. Over the next few pages we will discuss the nature of the project through which the photographs were produced and some problems (with representation) that the project was conceived to investigate. In mind of the ideas and experiences discussed while ‘Investigating Archives’, we will set down some thoughts and questions that will inform our research into the potential public presentation of this archive. 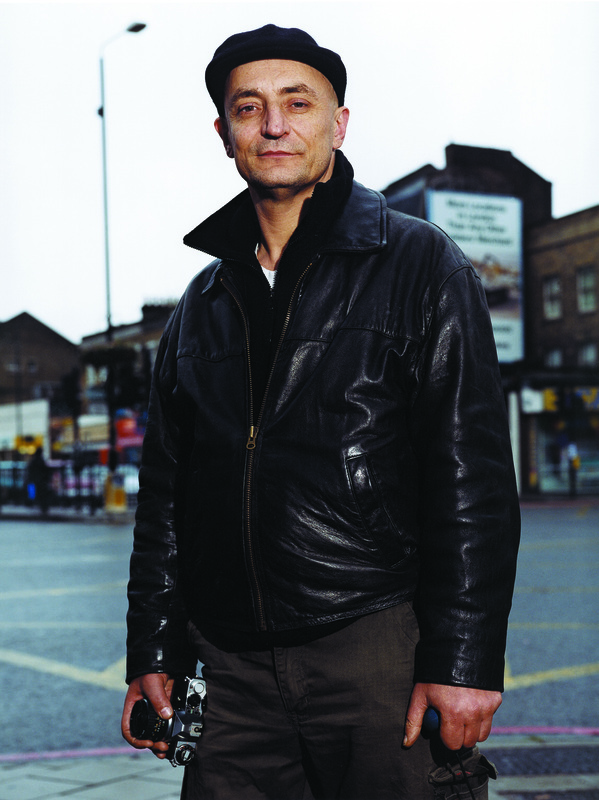 In 2001 I was invited to photograph at a large shelter event for homeless people in London. I declined, smarting something about preferring to see what the people I met would photograph. Contributing to a “find-a-bum school of photography” (7) holds no interest for me. However the invitation stimulated my interest in representations of poverty and homelessness, and in questions about the process of representation itself. Photography has always been implicated in problematic representations of the poor. The earliest deployment of the medium as ‘documentary evidence’ in support of social reform campaigns at the end of the 19th century, by the likes of Thomas Anan, Jacob Riis and John Thomson (8) established the tropes of a social documentary use of the photographic medium. An aesthetic and its production methodology was settled, and proceeded largely unquestioned. That is, until the appropriation of the photographic text in conceptual art practices of the late 1960s and 1970s (9), and the evolution of critical theoretical discourses on photography, propelled largely by the work of the German Marxist philosopher Walter Benjamin (10). All of which has significantly contributed to the revelation of a ‘documentary photography’ in absolute as a sham. The traditional formulations of the truth-telling genre have been exposed as a composite of stylistic conventions and production methodologies applied to spectacles of abjection, preferencing a celebration of photographer’s ‘genius’ over and above an effective consideration of the documentary concern. However, we still continue to persist with the production and consumption of photographic representations of social difference. More recently artists and writers on photography such as Martha Rosler, AD Coleman and Alan Sekula (11) to name a few, have urged practitioners to further develop the methodologies utilised to create and disseminate the documentary photography project: to re-think the possibilities for the roles of the photographer, the subject, and the medium itself. To conceptualise strategies that include the subjectivity of the subject, alongside that of the photographer in the final presentation. Photographs and Assisted Self-Portraits was initiated as an investigation into re-thinking the possibilities for the ‘negotiation’, or collaboration, between myself as the photographer, the subjects as participants and the actual use of the medium itself. I went along to the event and helped to serve food, organize karaoke and give out clothing, toiletries and blankets. When it was appropriate I spoke to the people I met about an idea I had for a photography project. I explained that I wanted to collate an archive of images made by homeless and ex-homeless people, and that anyone interested could come and see me in various places across London, to collect cameras and photograph whatever they liked. Over the following six years, and still continuing today, over 250 people have attended weekly drop in sessions to contribute to the archive. The sessions are always high-energy, swarming with vibrant personalities. The youngest participant is 19, the oldest nearing 90. People get involved for different reasons and have different ideas about what they want to photograph. I explain how to use the cameras and listen to each participant’s ambitions, encouraging everyone to simply go and do it. I never bring along photography books or show my own photographs, nor do I tell any of the participants how or what to photograph. I ask each participant to pull out their favourites, or the images that best represent what they want to show. With permission I take scans of the images and store the digital files and negatives. Release forms and licenses are provided, written especially for the project by specialist intellectual property copyright lawyers. Permission is not always given, and this is respected. The prospect of an opportunity to publicly exhibit photographs from the archive on the London Underground’s Platform for Art project in 2005, necessitated that I give careful consideration about the importance of recognizing the individual creators of the images. I did not want to simply put out an unconnected presentation of images attributed to ‘homelessness’. I began to think about how to create representations of the contributors to the archive, in a way that would react against the process of a traditional portrait making exercise. In order to research and determine the production methodology for an Assisted Self-Portrait, I worked with one participant, Phil Robinson, for over a year. To experiment with technical setups, and to closely examine the negotiations played out during in the photographic transaction. We tested ways to use various camera formats, with different lighting systems, film types and ways to physically trigger the exposure of the image. Arriving at a technical arrangement consisting of a large format camera, tripod, handheld flashgun, Polaroid and QuickLoad film stock and a long cable release. These preliminary technical experimentations were crucial in workshopping the instructional aspect of the portrait making to enable the participant to take control of the process, calling upon me as an assistant to their image making. Technical knowledge is built up through a number of meetings over 6 to 8 weeks. The final image is edited with the participant and the use of the Assisted Self-Portrait is always with their consent. Each Assisted Self-Portrait is the trace of a process that aims to blur distinctions between the subject, and myself as the ‘photographer’, during the photographic sitting. Investing in the participant a more active role in the creation of their portrait representation than is usually offered in a traditional photographer-subject relationship. In doing so the participant/subject become a co-creator of the image, and I, as the photographer, act as a facilitator and technical advisor. Photographs and Assisted Self-Portraits, and other photographic and video works that have developed out of the initial archive project are investigations that seek to rethink production methodologies and strategies for representation. To actively depart from a fixed point-and-shoot habit in the conception, creation and presentation of a ‘documentary’ project, to find ways that might usefully unshackle the roles of each within this triad. Photographs are understood to stand for ‘what was there’, what happened. Many critics have written about the problem of the invisibility of photography’s mode of production, the lack of acknowledgement of photography as a medium, as a process through which meaning is constructed. Pat Cooke comments on the role of archives as mediators between the real and imagined. He refers to objects in collections as semaphores, as ‘objects removed from everyday use and given a special role as mediator between visible and invisible worlds’ (16). This symbolic function, the capacity to represent and to produce the conditions in which we can think about and imagine the past, is part of the power and attraction of archives. But the business of representation is difficult and responsibility for an archive is fraught with risk and compromise. Its assembly always prioritizes certain readings and creates specific histories. These histories are always incomplete and inadequate but they are also important. Consideration of the complexities around the public presentation and use of material from Photographs and Assisted Self-Portraits has become imperative, as increasingly organizations and persons outside of the project show interest in the presentation and use of the images (17). The research residency facilitated by Belfast Exposed is designed to support the exploration of various practical and theoretical considerations for manifesting Photographs and Assisted Self-Portraits as a public archive. The research will draw upon the Belfast Exposed archive project as a key case study, along with other local and international resources, and artist practices. It will reflect on the residual status of the material in the archive, existing beyond the processes of its creation, and independent of a relationship with the artist. The implications of enabling the archive to function as a resource to be accessed, explored and used will be considered. How should it be accessed? By whom should it be accessed? What caveats could or should be placed on outsider use of the images? The research will aim to assess the implications of organizing the material into a classificatory system, supplementary to what is already inscribed through the rudimentary practice of assembling it over the past six years. It will examine the implications of the material being contextualized outside of the considerations in which it was created, particularly within mainstream discourses or representations of homelessness. Should the photographs be seen only within the context of the practice of the artist, or whatever uses the contributors have for the images? Is the archive a resource, or a composition of the artist, or a manifestation located somewhere between the two? How will all of this impact on the agency of the archive in the production and dissemination of non-mainstream histories? Derrida, J. (1995) Points … Interviews, 1974-1994, Stanford University Press, Stanford, CA, p352. Bodor, J. (Nov. 2006) ‘Artpool:the ‘active archive’ of Hungary’. Investigating Archives. Symposium conducted by Interface at the Linen Hall Library, Belfast, Northern Ireland. (5) Cooke, P. (Nov. 2006) ‘Perish the Thought: addressing absences in collections through exhibition and performance’. Investigating Archives. Symposium conducted by Interface at the Linen Hall Library, Belfast, Northern Ireland. Rosler, M. (1981) ‘In, Around and Afterthoughts (On Documentary Photography)’ in Rosler 3 Works, Nova Scotia College of Art and Design Press, Halifax. (8) Thomas Annan was commissioned in 1868 by the City of Glasgow Improvement Trust to document the alleys and closes of the slums of Glasgow to create a case for their demolition. John Thomson published images of Street Life in London in 1878. Jacob Riis was a journalist and social reformer who published How The Other Half Lives in 1889, and is also credited as being one of the earliest users of flash-powder photography, which he used when photographing in the flophouses of New York City’s Lower East Side in the middle of the night, rendering the half asleep subjects in a bleary eyed stupor. (9) Particularly those centred on self-reflexive investigations of the medium (such as John Hilliard, Larry Sultan and Mike Mandel, and Douglas Heubler) and those informed by interdisciplinary elaboration and critique of the human sciences, especially within discourses around ‘otherness’ in psychoanalysis and anthropology (such as Martha Rosler, Susan Hiller, Louise Lawler and Mary Kelly). (10) Especially Benjamin’s seminal essay ‘The Author as Producer’ originally delivered as a lecture in 1934 at the Institute for the Study of Fascism in Paris [Benjamin, W. (reprinted 1982) ‘The Author as Producer’ in V. Burgin (ed) Thinking Photography, Macmillan Press, London.]. And later the through the evolution of discourses significantly impelled by the work of writers such as Susan Sontag [Sontag, S. (1978) On Photography, Penguin, London. ], John Berger [Berger, J. & Mohr, M. (1982) Another Way of Telling, Writers and Readers Publishing, London. ], Martha Rosler [Rosler, M. (1981) ‘In, Around and Afterthoughts (On Documentary Photography)’ in Rosler 3 Works, Nova Scotia College of Art and Design Press, Halifax. ], and Abigail Solomon-Godeau [Solomon-Godeau, A. (1984), ‘Inside/Out’ in Public Information: Desire, Disaster, Document, Museum of Modern Art, San Francisco.]. Sekula, A. (1984) ‘Dismantling Modernism, Reinventing Photography (Notes on the Politics of Representation)’ in Photography Against the Grain, Nova Scotia College of Art and Design Press, Halifax. (12) Gray, J. (Nov. 2006) Plenary Session, Investigating Archives. Symposium conducted by Interface at the Linen Hall Library, Belfast, Northern Ireland. (13) Raad, W. (Nov. 2006) Plenary Session, Investigating Archives. Symposium conducted by Interface at the Linen Hall Library, Belfast, Northern Ireland. (14) David Campany talks about how ‘photographs are signs (in the semiotic sense) … [and] their relation to any particular site will only ever be provisional’. He goes on to say that ‘the condition of being a sign is that it always carries with it the potential of ‘contexts to come’’. (16) Cooke, P. (Nov. 2006) ‘Perish the Thought: addressing absences in collections through exhibition and performance’. Investigating Archives. Symposium conducted by Interface at the Linen Hall Library, Belfast, Northern Ireland. 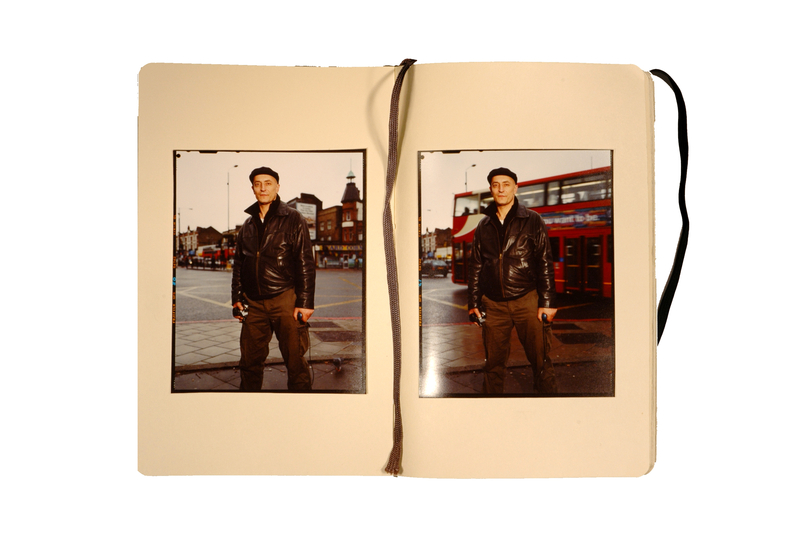 (17) Most recently, in May 2007, a selection of images from Photographs and Assisted Self-Portraits, was featured in “1+1=3, Collaboration in Recent British Portraiture” at the Australian Centre for Photography, curated by Susan Bright. Various organizations, including bible manufacturing companies and social work agencies, have requested to use images from the archive for commercial purposes or in contexts outside of my practice as an artist. These kind of requests have been declined or deferred until concrete decisions about the manifestation of the archive have been made.